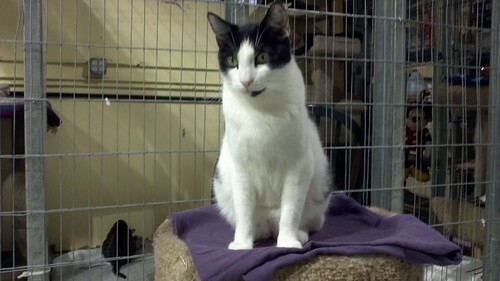 This good looking cat is among those awaiting deliverance from the Nine Lives Foundation shelter. They had an open house on Friday night, giving us the opportunity to check out their setup. Not bad; the cats have a lot of space to roam around, and it was all clean and tidy. Great work! On checking up on Nine Lives foundation shelter. It is good to know that someone is checking up on our feline friends. Love your header of your blog!